Provides the essential information you need to study the Bible in a handy, pocket-size format. More user-friendly features than ever - designed for those who need information quickly, but also want in-depth details on a variety of topics. Holman Illustrated Pocket Bible Dictiona by Holman Reference was published by B & H PUBLISHING GROUP in May 2007 and is our 50743rd best seller. 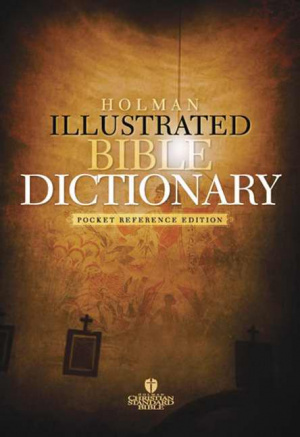 The ISBN for Holman Illustrated Pocket Bible Dictiona is 9781586403140. Be the first to review Holman Illustrated Pocket Bible Dictiona! Got a question? No problem! Just click here to ask us about Holman Illustrated Pocket Bible Dictiona.